Summer is the perfect time to take a road trip. 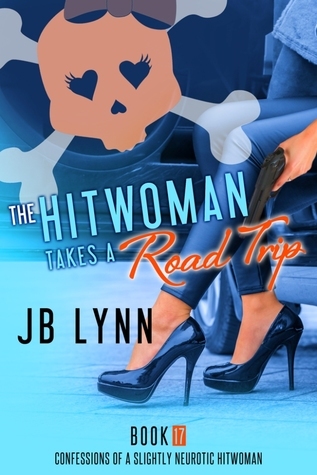 Whether you are going on one yourself or just want to take one in the pages of a book, The Hitwoman Takes a Road Trip by JB Lynn would be the perfect novel. Amazon affiliate links are you used in this post. I don't think since I read The Babysitters Club have I read 17 books in the same series. But I cannot imagine not following Maggie's journey to the end. For all the humor, I think at the core of the series is a coming-of-age tale of self-discovery for Maggie Lee. Have you been reading this series? It is a lot of fun and each installment is a quick read that can be read as a stand alone, though you might enjoy the story more if you are emotionally invested the large cast of characters which you will only get from reading the entire series through. If you haven't read this series yet, you could easily catch up this summer. I read The Hitwoman Takes a Road Trip in about a half day. I particularly found this book fun because I've always wanted to travel by RV. Armani, Maggie's psychic matchmaking lottery winner best friend, has been after Maggie for the last few books to take a vacation with her. Maggie's life never slows down so Armani takes charge and hires Maggie to be her driver and purchases an RV. Just because they get out of town, it doesn't mean that the cast of characters we have come to love isn't present. But there is more focus on Maggie's father who is in witness protection and whom Maggie has been trying to get information from. Zeke is also back and in need of Maggie's assistance. And a new character is introduced. If you wanted more background on the cat Piss, then this book must not be missed. And it is possible that there's a new member to Maggie's menagerie. 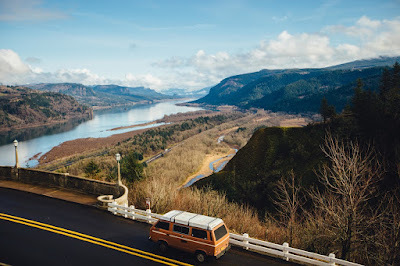 Summer is a great time for light reads that will have you laughing and The Hitwoman Takes a Road Trip is the perfect ebook to add to your ereader.